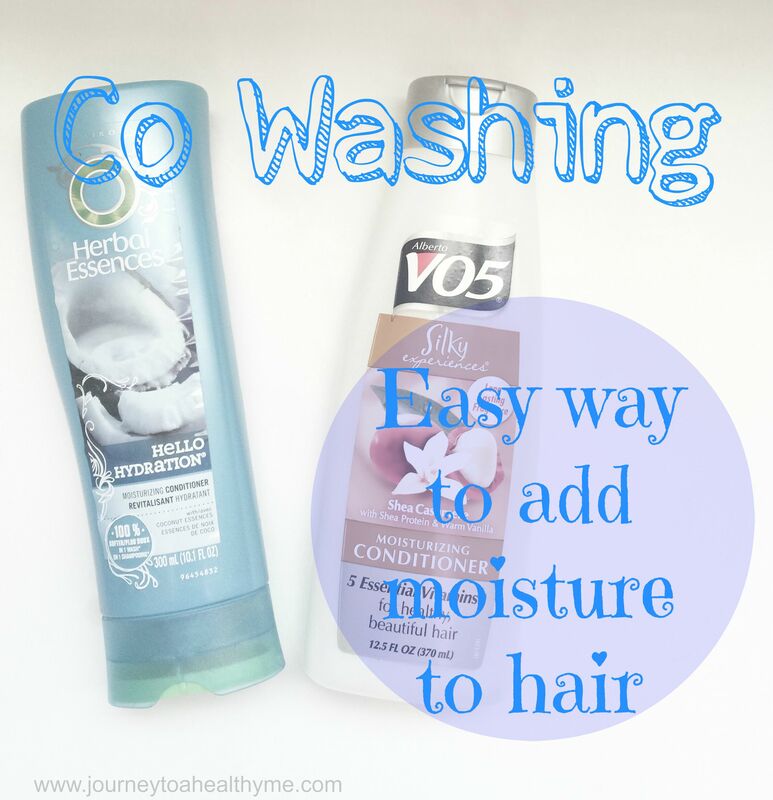 Adding moisture to hair with co wash is an easy method to do. While on a healthy hair journey, the need of your hair may change. It is important to listen to your hair. Currently, my hair is very dry and I am maybe 6 weeks post. I successfully completed a 6 months stretched but it was something else lol. I always tell myself that I will not do it again but if my hair needs the break from relaxer, I do it. My hair really needed it though but back to this post though. Co washing is a method that is use to help put moisture into the hair. We all know how a chemical such as relaxer can dry the hair out and I am a relaxed girl. So, I have to co wash with a moisturizing conditioner. I have been co washing my hair 1x a week and deep conditioning after it. For this post, I am just discussing the co wash day. I have not jump on the bandwagon of co wash conditioner yet because regular conditioner to co wash my hair have been working for me for the past 4 or 5 yrs. My favorite is Herbal Essences Hello Hydration right now. I do alternate between Suave, V05, and Herbal Essences. I co wash 3x a month. 2x out of my co wash days, I will prepoo. You can check prepoo out here. After I have prepooed, I proceed to co wash with herbal essences hello hydration. If I do not have to prepoo, I will just start the co wash process. I use the conditioner as I would use shampoo. Next, I let it sit in my hair for a few minutes (5 or 6 ). Then, I deep conditioning my hair (you don’t have to always do this after co washing, but my hair is very dry and it needs the extra treatment). I am using ORS replenishing conditioner with my mixture of oil. I let it stay in for an hour without heat. Next, I wash it out with cold water and use a t-shirt to get a lot of the water out of my hair. After that, I let it air dry to about 75% and put in a leave in conditioner (currently I have been using an aloe vera juice mix with water). This has been doing wonders for my hair since I added color to it. When it is completely air dry, I moisturized and sealed my hair and put it in some plaits. My hair has been responding well to this schedule.